Break-ins happen, regardless of how much security you have visible to the would-be criminal. However, comprehensive and effect security measures can certainly reduce the chances. When I was growing up, home security was available in the form of horribly annoying keypads that beeped every time you opened the door. Regardless, there were always reports of someone getting burglarized. Netatmo, a French IoT company, is not only looking to curb these issues, but also to further connect you with your home. With their new Presence security camera, Netatmo doesn’t just allow you to monitor the areas around your home. It also has some clever algorithms that reduce the amount of alerts and recordings it needs to produce. Their system works almost like how many of us were hoping Canary would have at launch, being able to differentiate between people who live at the location, strangers, and even pets or vehicles. 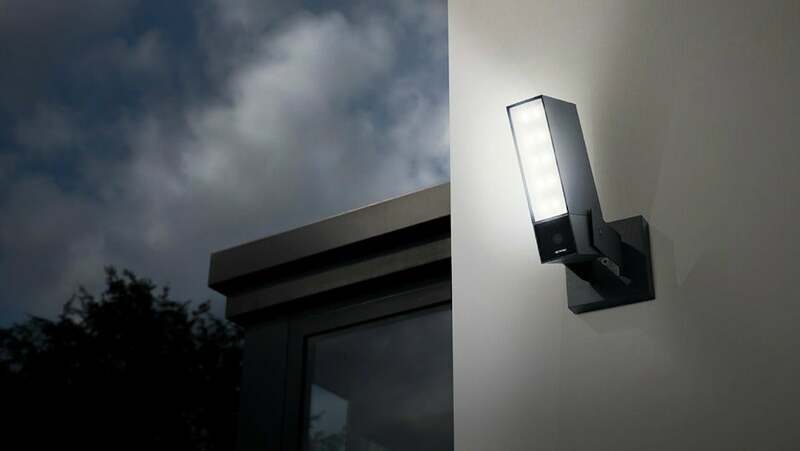 Compared to the other outdoor security camera we reviewed earlier in the year, Maximus’ Smart Security Light, Netatmo Presence blows it out of the water. We tested the Netatmo Presence over a few weeks while out of town, during regular work days, and while at home. Overall, it worked as described, but let’s first dig into the finicky hardware setup. Setting up new hardware is always a bit of a process, but with the Netatmo Presence, it felt like it was more complicated than it needed to be. 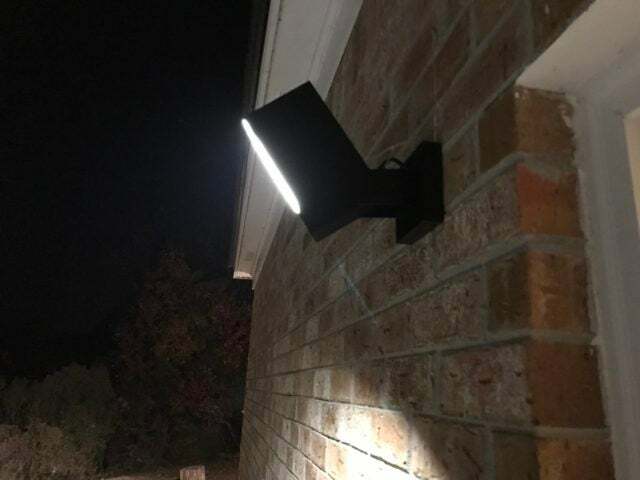 In all, it was the typical pull off an existing floodlight, install new Netatmo, and run through the app walkthrough process, but there are a couple of snags. Unlike the Maximus light, they put special care into the installation process with extra tools, Netatmo really would have been more of a two-man job. After removing the existing floodlight and installing the metal bracket, you’re supposed to hang the light from a small screw using just a zip tie, which doesn’t work. From there, while it’s hanging on for dear life, you have to map out the wires and then clamp them in by screwing in a few tiny screws, hoping the unit won’t fall to its death. Beyond that the process was relatively simple and didn’t take more than a half hour, though it would have been quicker with someone holding it in place while working through the wiring part. Overall, the process was mostly painless, but definitely bring an extra pair of hands if you can. Unlike other outdoor security cameras, Netatmo’s Presence differentiates itself by using algorithms to detect what is causing motion. As a result, you should get less unneeded notifications and more video storage space for when you need it. Using its algorithm, Presence will detect if a person, unknown person, car, or animal is causing a motion alert. For the most part, this worked really well, though occasionally the ducks that live by my house would set a motion alert off as a person. Presence got the animal detection right about 9 out of 10 times. The video footage and quality is also a solid kicker. Filming in 1080p, the camera has a 100 degree wide lens that allows for decently expansive coverage zone, and motion alerts can be mapped to specific parts of the full zone. However, the camera is only 4MP, which doesn’t quite compete with budget smartphones. The clarity works well enough for security monitoring purposes, which in turn means the included 8GB SD card won’t be quickly maxed out. If you’re looking to scare someone off with a floodlight, the Presence does the trick. In fact, while testing the motion sensor, I decided it would be a great idea to stare at the not-yet lit light while walking by because there is apparently a delay, and promptly blinded myself. Said delay is also a bit odd, more so than what you’d find for a standard motion triggered floodlight. We suspect this is where the camera is detecting if the motion was due to a person or animal as the settings would have prevented my local stray cat from turning it on. Night vision is usually an iffy technology on security cameras with incredibly limited capture range, but the Presence stands apart with this feature. You can easily see objects, animals, and people in low light settings. Netatmo, thank you for finally getting this right. Why other IoT and security brands don’t understand the necessity for multi-device access, we’ll never know. People who use more than one device and shouldn’t be stuck accessing security footage from an app alone. Whether you want to watch footage on your computer, phone, or even adjust the settings on your Apple Watch, Netatmo has you covered. Unlike most home security companies, Netatmo doesn’t charge you for cloud storage. Whether you want to use your Dropbox account or your own FTP server, you can easily backup your footage into the cloud. This is in addition to the included 8GB SD Card that records footage. Being able to integrate your home security devices into a single hub is no longer just nice to have, but a necessity. With so many brands out there, IFTTT has become one of the more widely known platforms to sync devices together. Whether you want to activate your internal Hue lights, log any actions that occur on the Presence, or expand your notifications, the integration with IFTTT is a huge addition. Netatmo’s design for the Presence security camera is both modern and sleek. Though some other critics took this particular component to issue, we find the subjectivity of the outer shell not to be a hugely important factor in it’s functionality. 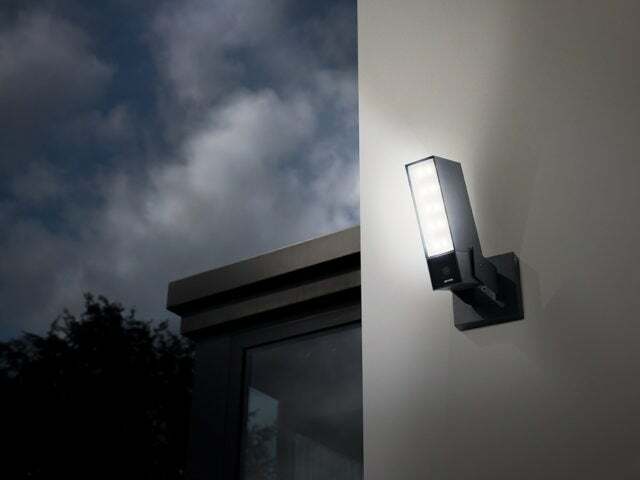 However, depending on your other external lighting and housing style, we do understand that this particular light may not fit in with a country abode. 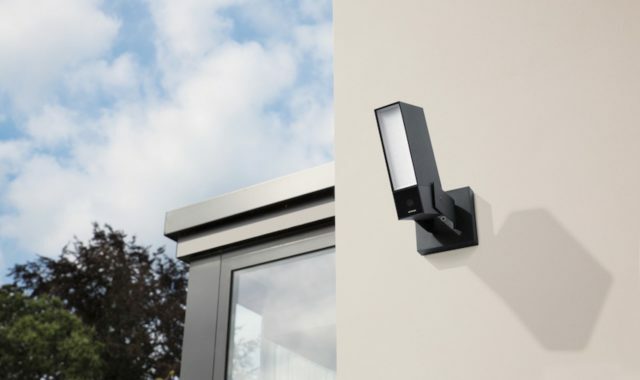 With that being said, the quality of the design, it’s metal modern exterior, and the weight of the unit make this security camera both stand out and look great. The app and access to reviewing footage works incredibly well except for one major issue. If either the camera or WiFi goes out, footage will no longer be accessible until both are back online. Fortunately through, the free Dropbox integration videos can still be reviewed there, but obviously the app is mostly rendered useless. Outside of an issue that plagues a majority of IoT devices, the app works incredibly well and makes it super simple to see where motion was detected and review the footage. Should you buy the Netatmo Presence? Absolutely. While you may be spending a bit more upfront when compared to some other outdoor security cameras, there is no recurring subscription, so Netatmo’s Presence ends up being more affordable than other options. Between the camera footage, great night vision, awesome motion algorithm, and incredibly bright floodlight, the Presence not only works as advertised, but has exceeded almost all of our expectations. We give the Netatmo Presence a 4.5 out of 5.